Love is in the air right now as people celebrates heart’s day and Jordan Brand has a treat to their followers with the release of the Valentine’s Day edition of the Air Jordan Phat. The Air Jordan 1 Phat GS “Valentine” features nubuck and leather upper part paired with black, storm pink, and white touches all over the shoe – a design obviously made to celebrate the lover’s holiday. Check it out today and make sure to consider buying a pair! 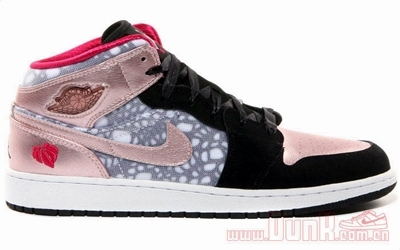 Air Jordan 1 Phat Taking the Spotlight Again! Three New Air Jordan 1 Phat High Lined Up!